SACOFTOMATOES: CAN I GIVE AWAY A BOOK? worldnetdaily write today how obscure Cindy is becoming. 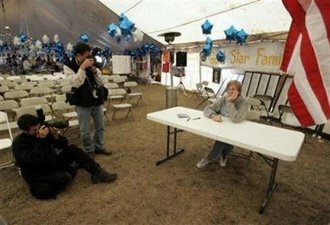 She gave a book signing and hardly anyone showed. It seems that these days the only ones that follow her are a few foreign press guys. You oughta take that cartoon of Sheehan down, she is done.